Originally published by Sound On Sound at June 17th 1994. 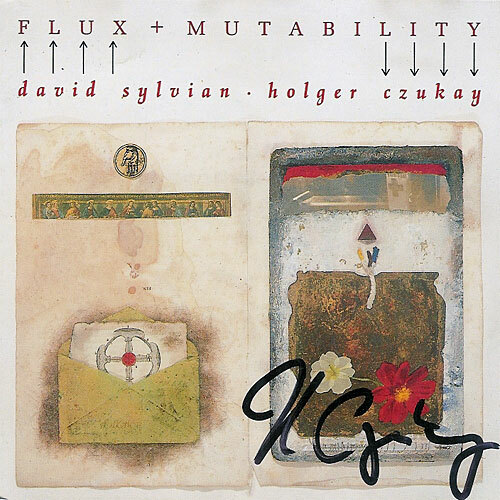 Despite having spent more than 15 years in the public eye, David Sylvian remains an enigmatic figure who has reinvented his own musical style constantly, both within his solo work and in his collaborations with musicians as diverse as Holger Czukay and Robert Fripp. PAUL TINGEN charts the history of the thinking musician’s thinking musician. 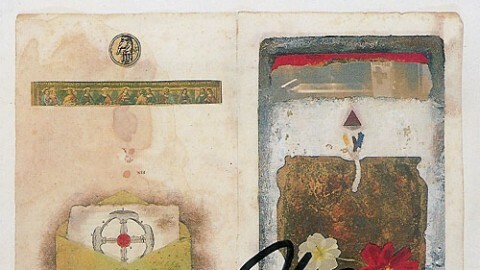 Though they had graduated from the naive to the innovative in less than four years, Japan remained first and foremost a pop band, and the creative constraints had clearly become too much for Sylvian. Yet he also acknowledges his time with the band as an important formative period. “I avoid looking back at the first two Japan albums. They were enormous mistakes that grew out of extraordinary circumstances. We were all young and surrounded by older people who thought they knew best. But they were important mistakes. I don’t think I would have learnt half as much had they not been so obvious. On Quiet Life and Gentlemen Take Polariods (1980) things started to change. We were getting into synths and were producing some interesting sounds and atmospheric pieces. Tin Drum was a wonderful challenge to work on. Richard (Barbieri) and I were stretching ourselves enormously in terms of programming new sounds. We only used a Prophet 5 and an OBX and tried to emulate fictitious musical instruments. It was really hard work. But it was worth it.” According to legend, recording Tin Drum brought producer and engineer Steve Nye to the verge of a nervous breakdown, as Sylvian and keyboardist Barbieri simultaneously programmed the synth sounds for the album in the recording studio, day after day. 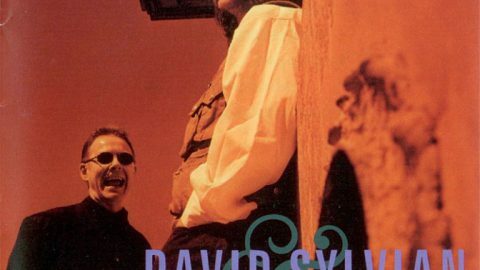 In terms of acceptance, Sylvian has had a remarkably easy ride. He quickly established himself as a widely respected artist, especially influential with musicians — his ongoing experimentations with sonic textures, whether in synth patches or sound treatments, have greatly contributed to this. But from the mid-’80s onwards, his music gradually became more introverted and melancholic and, as he became increasingly attracted to improvisation, his music became more abstract or — as some would say — formless. His audience was still accepting him, but were they understanding him? In 1990 and 1991, Sylvian rekindled his interest in audio-visual work with a collaboration with artist Russell Mills which produced a large-scale installation called Ember Glance, consisting of light projections, photography, sculpture and music by Sylvian. 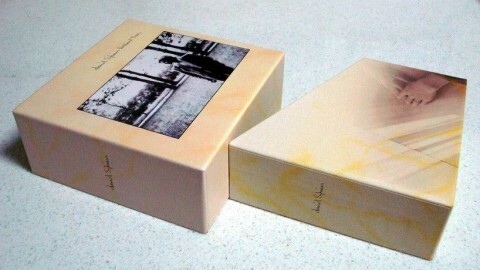 It was executed live in Tokyo in 1990, and crystallised in a book and CD published in late 1991. The end of 1991 marked a turning point in Sylvian’s personal life. He confirms that the years previously had indeed been “very dark and very heavy” for him and that it took him “a long time to come through.” As so often in life, change announced itself on several levels simultaneously, and a major event was his meeting with former Prince protegee Ingrid Chavez. Sylvian and Chavez married in February 1992, two and a half months after meeting, and he soon moved to Minneapolis, where she was living. Late last year Chavez gave birth to their first child. 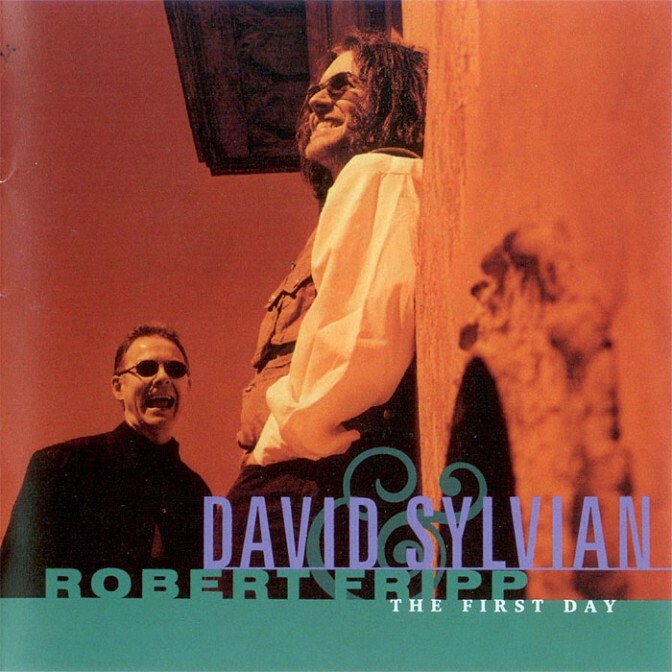 An interesting aspect of The First Day is that it combines the two previously rather disparate approaches to making music that Sylvian favoured — the tightly arranged and the loosely improvised. For Sylvian, this was a step forward: “Improvisations are particularly important in collaborative work, because what’s important there is the relationship between the musicians involved. Improvisation allows that to come into focus, how you react to each other in the spur of the moment. I enjoyed working in that way with Holger Czukay and Rain Tree Crow. It means that you’re not bringing your own limitations in terms of structure and songwriting into the studio with you. Last December, Sylvian had a triumphant return to the London stage when he played two concerts with Fripp at the Royal Albert Hall, no less. The concert was a world away from the dark introversion of his 1988 concerts. 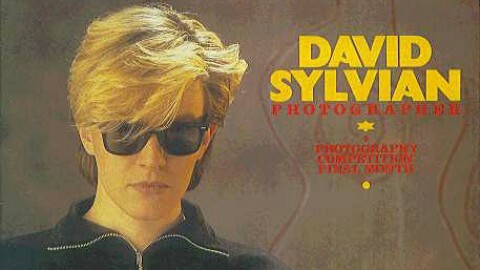 Though never an entertainer, Sylvian (whose gear for the occasion included a Steinberger guitar, Yamaha KX88 MIDI controller, Roland JD990, Korg Wavestation A/D, M1R, Zoom 9030, Akai S1100 and Kurzweil 1200Pro1) looked relaxed and in his element. Musically the concert was close to a revelation. The First Day was an interesting album, but somehow marred by a certain ‘monochrome’ mood and sound, as well as crudeness of some of the material. It may have fulfilled a cathartic function for Fripp and Sylvian and contained some excellent music, but it didn’t quite make an altogether satisfying listening exerience for me. At the Royal Albert Hall though, Fripp, Sylvian and Gunn, with help from drummer Pat Mastelotto and eminent guitarist Michael Brook, put down one of the best live shows of 1993. What hadn’t always worked on the album suddenly came to life and caught fire. 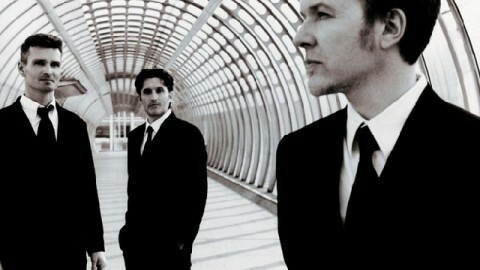 And some elegant and deeply moving ballads by Sylvian proved enough counterpoint for the heavier pieces. A live album with material taken from the last world tour has been mixed by Bottrill and Fripp, and will be released this summer. 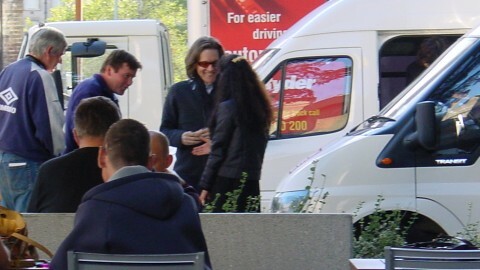 Meanwhile, Sylvian is working with Chavez on her forthcoming solo album, and a long-awaited fourth solo album appears to be on the cards too. Richard Barbieri and David Sylvian were together responsible for the unsual synth textures that turned Tin Drum into such a musical milestone. The highly original, organic and off-beat sounds were often reminiscent of unknown, exotic instruments. Despite the incredibly rich variety of synth colors, Barbieri and Sylvian used only the Prophet 5 and the OBX, and some Roland System 700. Barbieri remembers: “We took such care over each individual sound that we got quite paranoid about all sounds being new and different. My big influence on that album was Stockhausen, especially the abstract electronic things he was doing in the late ’50s. Listen to a track like ‘Ghosts’, for example, and you’ll hear all these metal-like sounds that hardly have a pitch, yet subconsiously suggest a melody.” Questioned about why he and Sylvian used so few synths, Barbieri answers that “when you know a lot about the architectural process within a synthesizer, you can program pretty much any sound you want.” Techniques which Sylvian and Barbieri used included the use of pink and white noise from analogue oscillators that led to the characteristic breathy nature of many sounds, and the programming of much movement into the sounds, courtesy of effects like modulation, stereo panning and reverb. 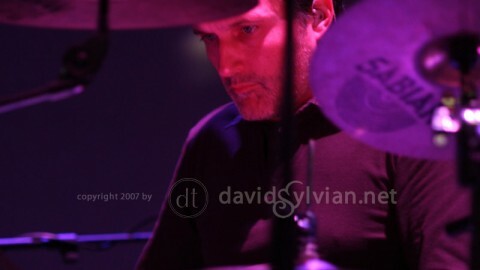 These effects were generally included in the sound themselves, as one of the major characteristics of Tin Drum was the extremely dry, close-up sound, courtesy of engineer Steve Nye. Barbieri assesses that creating breathy sounds with much movement isn’t so easy on digital synths, and although he did get quite involved in the programming of digital keyboards in recent years — using the PG1000 programmer with his D50 — his preference is still for analogue. The monophonic 700 is one of the analogue sound sources still currently used by Barbieri. Others are his untiring, MIDI’d Prophet 5, plus his Micromoog. 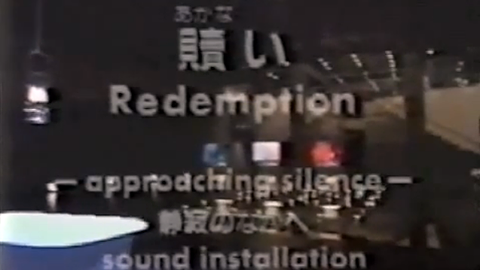 His only digital sound sources are a Roland D50 and an Ensoniq VFX (plus the Emax HD and Emu III “for basic sampling”). He still tends to treat his sounds heavily after programming: favourite devices for creating movement are his Roland SBF325 stereo flanger and Roland SDE3000 digital delay. Other effects come courtesy of Lexicon PCM70, Yamaha SPX90II, and Korg SRV reverbs, Sound City distortion pedals, and a stereo ring modulator which he had custom built. Again, like Sylvian, and still harking back to Tin Drum times, Barbieri prefers the sound of keyboards recorded to tape (the Fostex E16), and so, oddly for a modern keyboard player, doesn’t own any sequencer or computer. Richard Barbieri recently played on Mick Karn’s solo album, Bestial Clusters, and is involved with Karn and Jansen in their mail-order record company Medium Productions, which recently released their collaborative album Beginning To Melt (see SOS December ’93, page 20). The job of editing and structuring the pieces on The First Day was largely down to Sylvian and Bottrill. 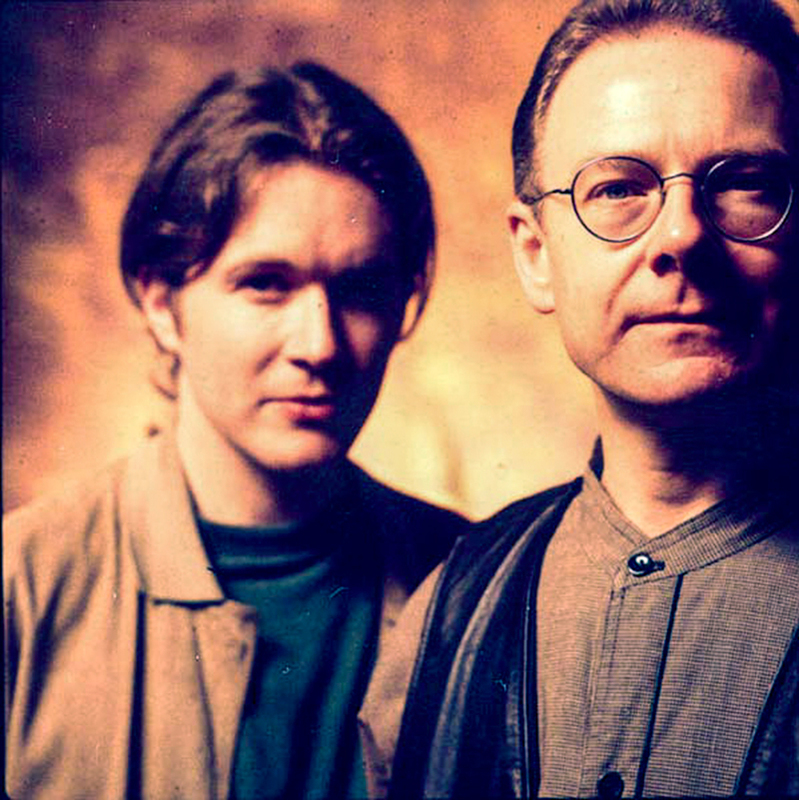 Fripp hadn’t expected to write material in the studio, found the two David’s attention to detail rather laborious and ended up coming in only when he was needed, in effect leaving the production to Sylvian and Bottrill. Sylvian stresses Bottrill’s role in the case of ‘God’s Monkey’ and ‘Darshan’. On the latter, some of Bottrill’s samples were used to form the basic rhythm, and Bottrill also devised the basic rhythm for ‘God’s Monkey’ from looped samples of Jerry Marotta practising. Sylvian: “I can’t remember much more than that Bottrill had a Roland sampler in his rack, with a Korg A2 for treatments and Performer and a Mac for sequencing. 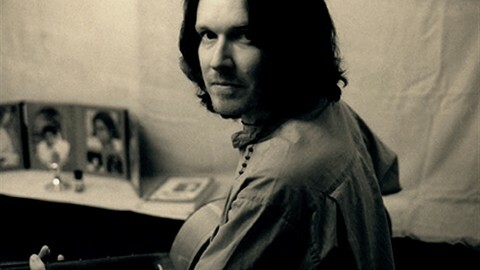 He had recorded some of Jerry’s improvisations whilst he was tuning up on DAT, edited them in the Roland and came up with this fantastic groove.” Sylvian, probably because of his emphasis on content over form, appears reluctant to divulge too much about the nuts and bolts of the recording process. 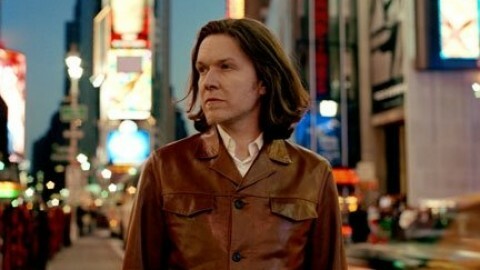 He does, however, reveal that mastering is one of the most important stages of creating an album for him. “I think it’s an enormously important last step. I spend a lot of time on it, listening to the cuts on different sound systems and different speakers.